Priority One Heating & Air Conditioning understand that the last thing a home or business wants is for their employees or family to be cold during the winter months in Eugene. Unfortunately, your HVAC system is only used during the winter months; therefore a problem is usually not discovered until it is turned on to be used. We want you to know that when something is wrong that we are here 24 hours a day, 7 days a week for all of your HVAC Eugene OR repairs or installation. Our professional pros will arrive at your business in a short time to help your heating system perform, so as to provide comfort to your family and to create a warm work environment for your employees. Often at times it is obvious that your HVAC Eugene OR system is in need of a repair or maintenance. 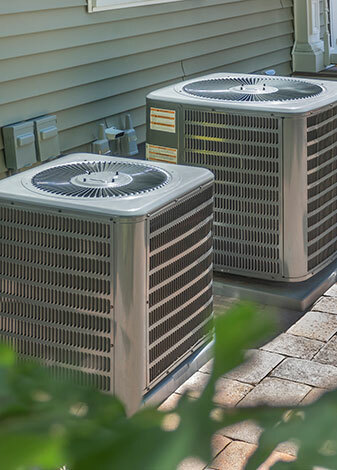 If your system is continuously running, but your home or business is not warming up, then you know you may be in need of repairs. Many of these issues may not be as serious as it initially appears, however, you do need it repaired quickly. There are some warning signs that you can look for when it comes to your HVAC Eugene OR system, because not all problems are obvious. However, it usually takes an expert, like those with Priority One Heating & Air Conditioning to be able to diagnose the problem. This is why we recommend that you have a maintenance plan when it comes to your heating systems. The maintenance plan will save you money on any problems that may arise over the year. This plan also helps maintain your heating bills if you are seeing them consistently rising throughout the year. Just the proper cleaning and adjusting of components within your HVAC Eugene OR system can prevent these unexpected surprises that could lead to the need for a new system, because the cost to repair your current system is greater than the purchasing of a new one. Trust the experts at Priority One Heating & Air Conditioning for all of your heating needs. We can Help and are here to offer you advice and save you money on your heating bills. Call us today!